WASHINGTON (AP) — The blaring, grinding noise jolted the American diplomat from his bed in a Havana hotel. He moved just a few feet, and there was silence. He climbed back into bed. Inexplicably, the agonizing sound hit him again. It was as if he’d walked through some invisible wall cutting straight through his room. Soon came the hearing loss, and the speech problems, symptoms both similar and altogether different from others among at least 21 U.S. victims in an astonishing international mystery still unfolding in Cuba. The top U.S. diplomat has called them “health attacks.” New details learned by The Associated Press indicate at least some of the incidents were confined to specific rooms or even parts of rooms with laser-like specificity, baffling U.S. officials who say the facts and the physics don’t add up. Some victims now have problems concentrating or recalling specific words, several officials said, the latest signs of more serious damage than the U.S. government initially realized. The United States first acknowledged the attacks in August — nine months after symptoms were first reported. It may seem the stuff of sci-fi novels, of the cloak-and-dagger rivalries that haven’t fully dissipated despite the historic U.S.-Cuban rapprochement two years ago that seemed to bury the weight of the two nations’ Cold War enmity. But this is Cuba, the land of poisoned cigars, exploding seashells and covert subterfuge by Washington and Havana, where the unimaginable in espionage has often been all too real. The Trump administration still hasn’t identified a culprit or a device to explain the attacks, according to interviews with more than a dozen current and former U.S. officials, Cuban officials and others briefed on the investigation. Most weren’t authorized to discuss the probe and demanded anonymity. In fact, almost nothing about what went down in Havana is clear. Investigators have tested several theories about an intentional attack — by Cuba’s government, a rogue faction of its security forces, a third country like Russia, or some combination thereof. Yet they’ve left open the possibility an advanced espionage operation went horribly awry, or that some other, less nefarious explanation is to blame. The cases vary deeply: different symptoms, different recollections of what happened. That’s what makes the puzzle so difficult to crack. The scope keeps widening. On Tuesday, the State Department disclosed that doctors had confirmed another two cases, bringing the total American victims to 21. Some have mild traumatic brain injury, known as a concussion, and others permanent hearing loss. Even the potential motive is unclear. Investigators are at a loss to explain why Canadians were harmed, too, including some who reported nosebleeds. Fewer than 10 Canadian diplomatic households in Cuba were affected, a Canadian official said. Unlike the U.S., Canada has maintained warm ties to Cuba for decades. After the U.S. complained to Cuba’s government earlier this year and Canada detected its own cases, the FBI and the Royal Canadian Mounted Police traveled to Havana to investigate. 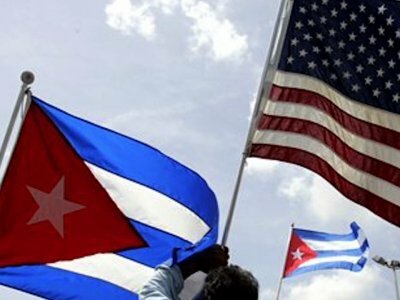 In May, Washington expelled two Cuban diplomats to protest the communist government’s failure to protect Americans serving there. But the U.S. has taken pains not to accuse Havana of perpetrating the attacks. It’s a sign investigators believe that even if elements of Cuba’s security forces were involved, it wasn’t necessarily directed from the top. “Cuba has never, nor would it ever, allow that the Cuban territory be used for any action against accredited diplomatic agents or their families, without exception,” the Cuban statement said. After half a century of estrangement, the U.S. and Cuba in 2015 restored diplomatic ties between countries separated by a mere 90 miles of water. Embassies were re-opened and restrictions on travel and commerce eased. President Donald Trump has reversed some of those changes, but left others in place. Mark Feierstein, who oversaw the Cuba detente on President Barack Obama’s National Security Council, noted that Cuban authorities have been uncharacteristically cooperative with the investigation. If the Trump administration felt confident Raul Castro’s government was to blame, it’s likely the U.S. would have already taken major punitive steps, like shuttering the newly re-established American Embassy. And the U.S. hasn’t stopped sending new diplomats to Cuba even as the victim list grows. Weissenstein reported from Havana. Associated Press writers Bradley Klapper, Eric Tucker and Lauran Neergaard in Washington, Rob Gillies in Toronto and Jake Pearson in New York contributed.